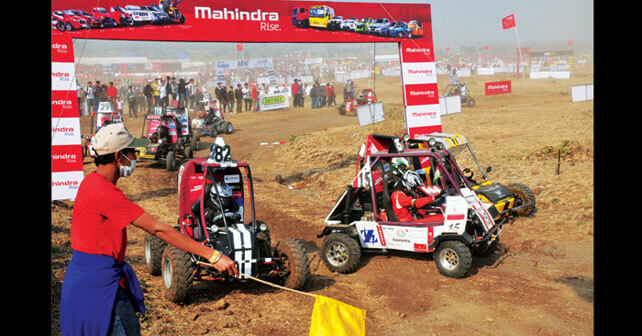 Mahindra Presents BAJA SAEINDIA announced the launch of registrations for BAJA SAEINDIA 2019. This marks the 12th season of the competition that offers a platform for young engineering talent to showcase their skills and transform their theoretical knowledge into practical experience as they compete to build an ideal all-terrain vehicle. The theme for this season is “Adventure Reloaded”. It is based on the challenging nature of the competition and through this season, BAJA SAEINDIA would like the teams to experience this journey of adventure comprising designing, manufacturing, driving, teamwork and a lifetime opportunity to live the foremost level of difficulty. The teams will be judged on six main parameters in the Virtual BAJA event which are – their knowledge of the rulebook, the design of the vehicle, the project plan, the design methodology, the design evaluation plain and viva sessions. This will be followed by two main events to prove their mettle. To promote electric mobility in India, eBAJA teams who are new, will receive a financial support of up to INR 1.5 Lakhs from BAJA SAEINDIA. In order to encourage diversification in the upcoming BAJA SAEINDIA 2019, the teams will benefit with additional points during the Virtual BAJA rounds if they comprise of students from non-mechanical background. The Registrations will be open until the 20th May 2018 and the competition is scheduled to be kicked off on the 13th July 2018 at Chitkara University, Punjab.